INSTANT DOWNLOAD birthday PARTY HAT PRINTABLES! Party printables to make your own birthday party hats for a butterfly party, flower party, garden party, or any birthday party theme! 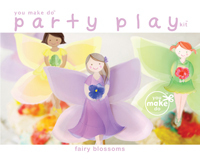 These pretty party hat printables coordinate with all of our butterfly garden party decorations too http://www.you-make-do-shop.com/garden-party-flower-party_p_241.html! Buy the entire kit and receive your hats free! Use code 4J714 at checkout when you buy both the complete butterfly garden printables and these party hat printables! Add both sets to your cart, use your discount code, and the cost of your hats will be deducted from your total. Use these party printables to compliment any party theme for birthday parties, first birthday parties, or 1st birthday CAKE SMASH PHOTO SESSIONS! Our party hats make unique party favors—you can even customize them by adding ribbon tassels or colorful pom poms to the tops if you wish. Printable kit includes 5 pretty colors—teal, lime green, pink, turquoise, and yellow! Use them all or print your favorites! Each hat includes a pretty blossom attachment too! This party printable is an INSTANT DOWNLOAD! 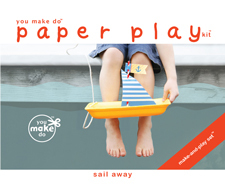 After receiving your order, a link to this You Make Do pdf printable download will be automatically e-mailed to you. Begin printing as many as you wish right away! We also have many banners, straw toppers, pinwheels, and place cards in our shop to coordinate with your pretty party hats or, order the complete matching butterfly garden party kit! To make your party hats, you will need: bright white card stock to print your party hat printables on, scissors, elastic string or pretty ribbon so guests may wear the hats (poke a small hole in the bottom of each side of the hat to tie ribbons; or, staple elastic string to bottom of hat), and tape or a glue gun to secure your card stock into a cone.